San Bernardino, CA - A dispute at a holiday gathering may have sparked a mass shooting in San Bernardino that left 14 people dead and 17 others wounded on Wednesday morning, federal law enforcement officials said according to a report in the Los Angeles Times. 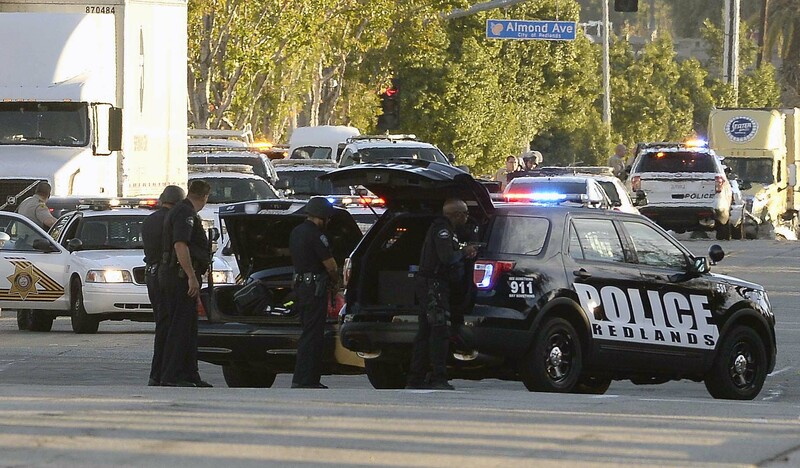 As many as three assailants, who carried long guns and wore masks, opened fire on a gathering of San Bernardino county employees around 11 a.m., sources and a witness told the Los Angeles Times. A senior federal official who is monitoring the case said investigators believe one of the shooters left the party after getting into an argument and returned with one or two armed companions. But according to some of the sages who left comments on earlier reports on VIN -- intellectual giants like sgmoish, who never says anything remotely intelligent -- this was the work of Muslim terrorists! After all, they saw something on Twitter! No wonder a shoiteh like Trump has a significant level of support among VIN regulars. No k'amcha Yisroel! Yeah right, a dispute, so the killers left and then made a bomb, ha??? A senior federal official bent over backwards to be dan lekaf zechus lemi she'ainan zacha'in. The name of the shooter tells the whole story, yet they still press on with lies that one of the shooters left the party after a fight and came back with 2 accomplices, rifles, lots of rounds of ammo, all dressed in tactical gear an hour later. Yup. Sounds like a fight and just senseless gun violence. No Islamo-fascist terrorism here. All is well in Obamaland. They had the clothes, the big guns, home made bombs etc. It doesn't sound like a domestic dispute. Hiroshima wasn't levelled because a worker got fired. Look who looks like the fool now??? All reports on Twitter from the moment the shootings took place were quite accurate from the name of the shooter to the amount of casualties....You on the other hand have been to the spin doctor and trying to portray this as a work place dispute. This was no random act of terror. It was well planned and methodical. The weapons and body armor they had were not cheap and not easily accessible in the nanny state known as California. The "party" will be an excuse. This was a terrorist attack on USA soil.